Interesting timing from ol’ Steve-o on the whole Flash-on-the-iPhone thing. At Tuesday’s Apple shareholder meeting — and widely reported today (Dow Jones) — Apple deity Steve Jobs dropped the bomb that the scaled-down, cellphone-friendly version of Flash, dubbed Flash Lite, isn’t good enough for the iPhone. To use Flash Lite, according to Steve-o, would spoil the phone’s much-ballyhooed “full web experience” brought to you by Safari Mobile. Using the desktop version of Flash isn’t an option, either, as it would run too slowly on the iPhone. Steve-o suggested that there’s a “missing product in the middle”, a version that’s positioned between Flash Desktop and Flash Lite, but it’s a product that doesn’t exist and is unlikely to be developed by Adobe anytime soon. What all this means is that the iPhone still cannot play Flash video or casual games, both of which are produced mostly in Flash for Web-based consumption. 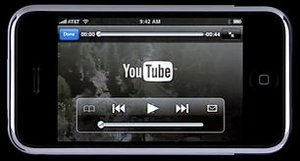 YouTube is the only Web-based service formatting video to a file type that Apple endorses, which explains why you can play YouTube videos on the iPhone and iPod touch. So why didn’t Steve-o tell us this a while ago? Did Apple engineers just figure this out? Did their attempts to use Flash or Flash Lite in the iPhone fail and they’ve thrown up their arms in frustration? Was this part of Steve-o’s grand plan to deflect any “bad” or disappointing news away from tomorrow’s highly-anticipated, wet-your-pants unveiling of the iPhone software developer kit (SDK)? It was widely believed that playing Flash video was going to be a part of the iPhone SDK announcement. Or is this Steve-o’s way to put the screws to Adobe, threatening it to develop iPhone Flash? Is Apple going to jump ship and use rival Microsoft’s competing Silverlight platform, which coincidentally is going to be used on Nokia phones (last100)? Only Steve-o knows the answer, but I’d guess it’s a little bit of all three. AppleInsider has an excellent, exhaustive explanation on why Flash is used on the Web, its architectural limitations, and how it works (or doesn’t) on the iPhone. It’s an enlightening read and outlines the challenges Apple engineers face bringing Flash to the iPhone. Being the big-event, product-introduction master, Steve-o has cleared the way for whatever is going to happen tomorrow regarding the iPhone SDK, which third party developers will use to create new applications for the phone. Sure, Jobs will be asked about the lack of Flash on the iPhone, but he’ll spend more time talking about what’s coming, not what should-have-been. 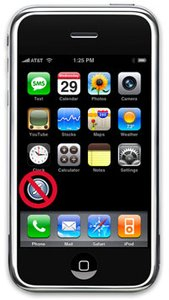 Finally, never put it past Jobs to do the ol’ Steve-o hustle and pressure Adobe into developing iPhone Flash or forcing the mobile Web browsing world to develop a Flash-like standard for mobile video, which most like will include Apple and QuickTime. So forget about Flash on the iPhone — for now. It’s old news. What’s coming is what Steve-o wants the world to think about. I have read some where that now users will be able to download Youtube videos on their cell phones which is really kool. Flash is a must for any future mobile phone.